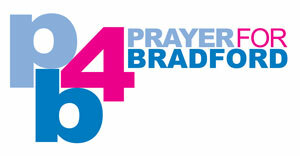 Christians Against Poverty (CAP) is a Bradford-based national charity that tackles the route causes of debt and poverty on our doorstep and across the UK. Partnering with local churches, we empower them to provided debt counselling through home visits and our centralised support, right here in the city. 34% of our clients said that debt made them seriously consider or attempt suicide before our service, so we know just how vital our work with local churches is. That’s why we also launched CAP Job Clubs, enabling churches to engage with the problem of unemployment in our city, and support those who need extra help or just an extra encouragement on their journey to work. Combining this with our CAP Money Course, teaching people how to manage their money, we are really able to meet some very practical 21st century needs. Added to this we are currently piloting CAP Release Groups, designed to tackle low grade addictions such as smoking, drinking and gambling, with some early success. Prayer: Because everything we do is through the local church, we always need more churches to join us and meet the great need in our city and this nation. Pray for new and continued partnerships for the coming year.